Jason Barclay was sworn in as the newest member of the Illinois State Board of Education at the board’s meeting on Jan. 24. Gov. Bruce Rauner named Barclay to the ISBE board on Jan. 13, following the retirement of Curt Bradshaw. Barclay was formerly a lawyer on Rauner’s staff. Barclay’s experience in state government, coupled with his time working with an Indianapolis charter school, made him “uniquely qualified” for the position, according to Rauner. Barclay has most recently been employed as general counsel of Athletico Physical Therapy. He previously worked as a law partner at Barnes and Thornburg, LLP, and as an attorney for former Indiana Governor Mitch Daniels before joining Rauner’s office as general counsel. In addition to his work as an attorney, Barclay helped found a technology-focused charter school in Indianapolis and served on its board. He succeeds retired ISBE board member Curt Bradshaw, whose term on the state board expired in January. 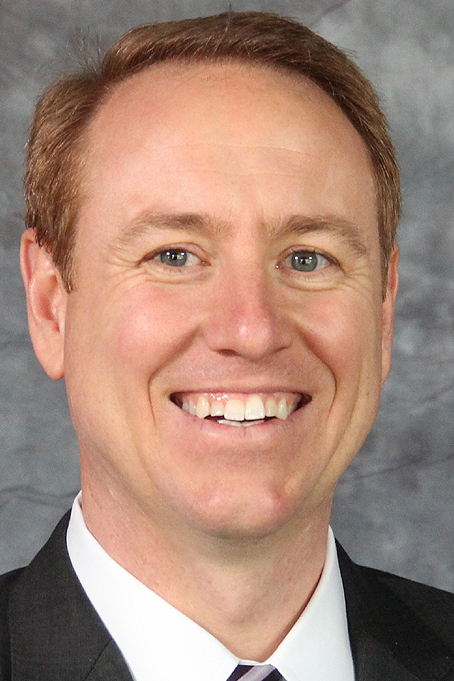 Bradshaw, a managing director for Efficient Capital Management, was a school board member at Indian Prairie CUSD 204 (Naperville) from 2005 to 2012, including a three-year term as president. He was appointed to the state board at ISBE in 2012, reappointed in 2013, and also served as chairman of the board’s finance and audit committee until the expiration of his term in January. Bradshaw is credited with helping the state agency reach several milestones, such as improving teacher quality, obtaining more rigorous student learning standards, using data to inform more decisions, creating the so-called Illinois Report Card, pushing for increased K-12 school funding, and navigating the hiring of a new state superintendent. The other members of the state board of education include James T. Meeks, the chairman, along with Lula Ford, Collin Hitt, Melinda LaBarre (board secretary), Craig Lindvahl, Eligio Pimentel, and Cesilie Price. Ruth Cross will soon be joining the board, according to the ISBE website's board member page, although she hasn’t been sworn in yet.